We recently told you that you can add a link to your website or Facebook page in the ‘find driving schools, lessons and instructors’ service. It’s a really useful way to help potential pupils find out more about the services you provide. And as an added bonus, because of the way search engines work, having a government website link to your website can help it get ranked higher in search results. For some time now, we’ve been collecting feedback from learner drivers who have used the service. We want to share what we’ve learned, as it might give you some ideas about how you can make improvements to your own website. There are also rules that all business websites must follow. So we thought it’d be useful to pull all this together into one blog post for you. We’re sure that the vast majority of you are already well aware of these - but it’s always useful to have a reminder. One of the most common pieces of feedback learner drivers leave is that they want to know whether or not you provide lessons in a manual or automatic car. Some have also said that they want to know the make and model of the car you use. We know that the vast majority of your websites make this really obvious, so adding a link to your website on our service could help you get more enquiries from potential pupils. Not at all surprisingly, one of the other most common pieces of feedback learner drivers leave is that they want to know your lesson prices. If your prices are on your homepage or on a ‘prices’ tab on your website’s main menu, there’s a good chance people will be able to find them quickly. For everyone’s protection, there are rules about the prices businesses advertise - and driver training is no exception. Any information on your website has to follow the UK Code of Non-broadcast Advertising and Direct & Promotional Marketing - sometimes known as the ‘CAP code’. The code is enforced by the Advertising Standards Authority (ASA), who can take steps to remove any ads that break the rules, or order that they're changed. Section 3 of the CAP code covers all the rules you must follow on advertising prices. You can also read some general advice about price claims. Which brings us neatly on to the next tip. Advertising claims can be a great way to explain the benefits of your service. But they must be legal, decent, honest and truthful. You must be able to substantiate any claims you make. So if your website includes something like "Nottingham's premier driving school", you need to have proof to substantiate that claim. The ASA may regard claims as misleading if you don't have adequate substantiation. Section 3 of the CAP code covers all the rules you must follow for claims you make. You can also read some general advice about substantiation. We’ve also had feedback from learners saying that they’d like to see photos of you, as it would help to reassure them when you turn up for the first lesson. So if you don’t already have your photo up on your website, it’s something that you might want to consider to provide that extra bit of reassurance. On the subject of reassurance, many potential pupils will look at what your previous pupils have said. We know that many of you will have a testimonials or review section, or even a hall of fame! 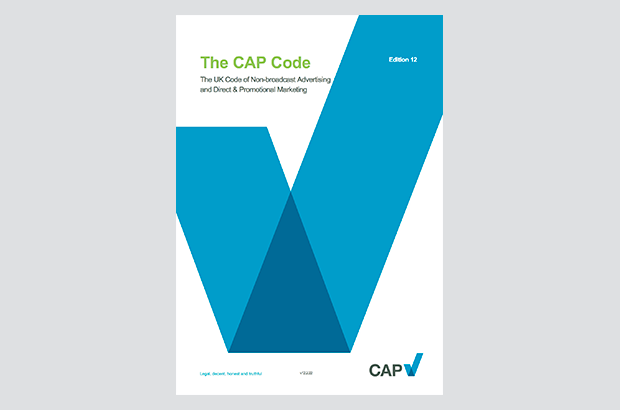 To follow the CAP code, you must have evidence that a testimonial or endorsement is genuine, and have contact details for the person who gave it. You must also have that person's permission to use the testimonial. Section 3 of the CAP code covers all the rules you must follow for testimonials you use. You can also read some general advice about testimonials and advice about claims made in testimonials. And remember, if you're keeping contact details of former pupils featured in testimonials, you'll need to follow the appropriate data protection rules. If you have a 'hall of fame' of past pupils proudly holding their pass certificate, remember to make sure that the pupil's driving licence number on the certificate is obscured. It's also worth reminding your pupils about this if they're planning to post an image on social media, too. DVLA issued a warning about young drivers posting photos of their driving licence a few years ago. You’ve probably seen messages on websites you visit about ‘cookies’. These are small files the website puts onto your computer to store some information about your preferences or past actions. But did you know you must tell people if your website sets cookies? The Information Commissioner’s Office has published guidance about cookies, and how you can make sure you follow a set of rules called the ‘Privacy and Electronic Communications Regulations’. These sit alongside the Data Protection Act. Every week, around 10,000 people are using our service to find instructors. And over 40% of them use it on their mobile phone. A mobile-friendly website could be the thing that helps a potential pupil get all the way through to sending you an enquiry. 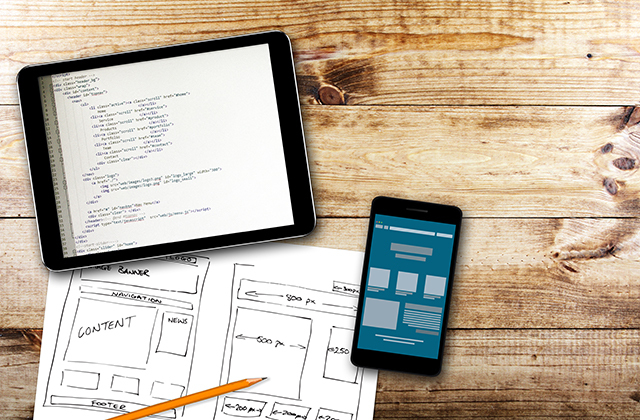 Having a mobile-friendly website can help you be found more easily, too. Some search engines, such as Google, will now rank your result lower if the website isn’t mobile-friendly. So having a mobile-friendly site can help you stay high up in the search results. You can check if your website is mobile-friendly using this free tool from Google. If you haven’t already, you can add your website address (or Facebook page) to your profile so it appears with your other contact details. All you need to do is update your ADI registration details. The system is updated every night, so your website link will appear the following day. Can I ask, how did you put this guide together, I understand the law, but is this a real guide for driving instructors with little knowledge of trading law or operating a business ? Perhaps after many years of change (not all good), you may wish to consider making this a major part of instructor training and development. I work in the Communications team at DVSA, so I have to know a lot of this for my job. So it's a mixture of things that we know from our professional roles, plus other things we've learned from learner drivers giving feedback on the service. We would also encourage ADIs to do continuing professional development in this area if it's something that will benefit them, based on their operating model. As a School I follow just about all the suggestions on here..However I do not and will not list prices.From a marketing point of view ,if prices are shown, there is absolutely no reason for anyone to contact you . Tuition is not just about cost and interaction with possible clients is essential .Neither is it about a hard sell but finding out about people's needs and past experiences in their learning.We are always fully booked with a waiting list and stunning reviews.